The Smart Services Group has developed a demo application showing how to use the indoormark tag specification at Open Street Map. The source code is written in QT 5.5 and runs on Android devices. To build the application, use QT Creator and configure the project for the Android platform. Note that the provided map plugin used in QT only reaches a 18 level zoom and that does not seem enough for an indoor scenario. 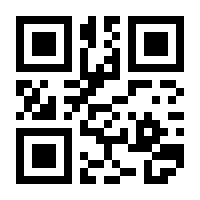 QR codes: as the NFC tags, they can provide a known coordinate. By using this, navigation systems could retrieve all the data they need to position the user. For instance, an ibeacon based application should know the major and minor numbers to distinguish any ibeacon. A NFC tag would give its unique address when detected and this value could be use to match an indoormark in Open Street Maps and obtain its coordinates. See the examples below to know how this can be achieved. QR codes can be used to give a unique identifier when scanned. An approach to transform that to a position within a building is to match the unique identifier given by the QR with the item tagged in our OSM map. Doing this, we can get the coordinates and also the level where the QR is placed. NFC can be used in a similar way to QR codes. In this case, the address of the NFC is unique and the procedure to obtain the location could use its value to get the coordinates and level from the map.